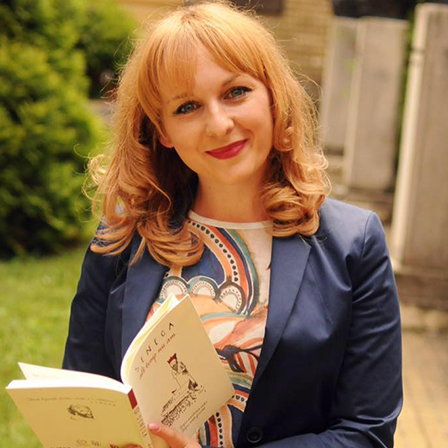 Daniela Dumulescu is a psychologist, Ph.D. candidate in educational psychology to Babes-Bolyai University, Romania. She works in the area of educational and vocational development strategies for children and young people. Her main research interests include: self-directed career management strategies, social and emotional skills in educational settings, communication strategies for Generation Z. Daniela is also a trainer and youth worker with a diverse experience (over 7 years) in many European and national projects. Currently, she is teaching Personality Psychology and Educational Psychology to Babes-Bolyai University. In the same time, she has relevant experiences on projects developed by UNICEF Romania, aiming to create equitable policies for children and adolescents in educational and health areas. Daniela’s objective is to spread many evidence based information and methods through her activity, in order to improve children's and adolescents' well-being. Daniela Dumulescu won several grants for presenting her research work to scientific conferences in Switzerland, Austria and United States of America. Also, in 2014 he received the Professor Bologna Distinction, National Alliance of Students Organizations in Romania (ANOSR). The “Bologna Professor” distinction is the only title offered exclusively by students to teachers who make a positive differences in higher education.